Should you organise teams around Dunbar’s number? Oxford professor Robin Dunbar suggested that the maximum number of meaningful social connections a human can maintain is around 150. This is why some many traditional societies and communities are based around a group of roughly that size. Any bigger and the social connections break down, leading to a breakdown in cohesiveness and morality. Recently this number has been adopted by the technical community. 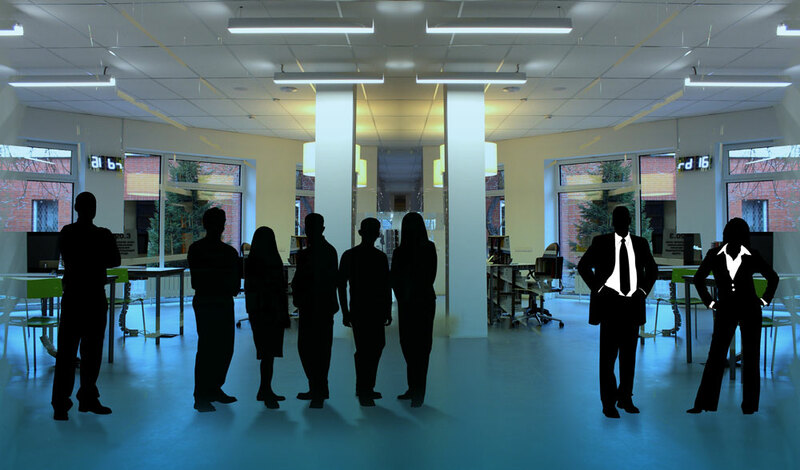 Those following Spotify’s Tribes model often aim to get a tribe below 150 people, and many co-working spaces are designed around having 150 tenants. The problem is that this does not seem to make any sense to me. 150 is supposed to be the maximum number of total social connections you have. If I look at the connections I maintain it consists of family, friends, people I know from volunteering and community groups, and work colleagues. If we assume a roughly even split between the four of them, that means I can maintain a maximum of 37 meaningful relationships at work. If your company is a cult, that requires you to terminate all contact with your former life when you join, 150 makes the perfect size for a team. However, assuming you are a normal company, 150 does not seem to be the magic number. Even if you say “Okay, but people do not need to know everyone in the tribe”, that’s fine, but 150 is still irrelevant as a number. The perfect team size is likely to be something else. If you work at Sky’s Leeds Dock offices, chances are you will walk in from the city centre. Once you get past the traffic lights on Crown Point bridge you can choose to go left, taking the steps down by the waterside, or go right and take the road round the back of Mumtaz. But which way is fatest? To find out, I set about recording my walk time from the traffic lights to the post outside of Sky 2. I did six runs in total, trying to mix up the days randomly to get a representative average. Here are the raw times I recorded. Here is the same data, in seconds, with averages. Based on the table, we can see that the road seems to be around 9 seconds faster than the steps (211 seconds compared with 220 seconds). However, the typical variation, 8.82 seconds, is almost as high as the difference. Therefore we can only have so much confidence the results are accurate. It also suggests that other factors such as weather and fatigue have as much impact as route selection. On average, the road route seems to be slightly faster than the steps route. However the difference is small and so it seems a sensible choice to choose the steps instead if you prefer the more scenic route. 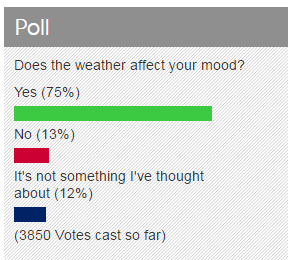 Recently an internal poll at Sky asked employees whether the weather affected your mood. Responders overwhelming said that it did. However, this is people self-reporting in a poll. When you get into the science, the picture is far less clear. The Huffington Post reported on all kinds of maladies that studies suggest are caused by weather. The list includes changes in empathy, violent crime and mental health problems. It is not unlikely that some people might actually move to California in the mistaken belief that this would make them happier. Our research suggests a moral, and a warning: Nothing that you focus on will make as much difference as you think. The idea that pleasant weather increases people’s positive mood in general is not supported by the findings of this study. These findings cannot be generalised to everyone. Some people suffer from seasonal affective disorder. It comes with the acronym SAD, just like social anxiety disorder does, suggesting that mental health professionals would benefit from improved coordination. Seasonal affective disorder is a genuine and widely-accepted condition and is one that should not be taken likely: it is a serious mental illness. However, it only accounts for a small amount of the population. A study published in the British Journal of Psychiatry puts the prevalence at 2.4% of the population. So are the rest of us just imagining it? Well, maybe. But a study by Klimstra et al. fought back. They suggested that some personalty types may be affected by weather while others may not be. Overall, the large individual differences in how people’s moods were affected by weather reconciles the discrepancy between the generally held beliefs that weather has a substantive effect on mood and findings from previous research indicating that effects of weather on mood are limited or absent. So does weather affect your mood? Probably less than you think. But, as ever, more research is needed. In an episode of Freakonomics Radio I recently listened to, the show discussed whether learning a foreign language was really worth it. I wrote a post back in May about whether we should teach foreign language in schools. My main point was that it was essentially a failed system: children simply do not learn to speak a foreign language, despite spending hours of school time per week on it. That is a big opportunity cost when they could be doing other subjects. The show agrees with me. Not only are most people unsuccessful, but it really does not provide that much benefit. If you look at the economic benefit for example, which if it was giving you additional skills or even just increasing your IQ, we would expect to see big gains here. However, a study in America showed that learning Spanish gave you an economic benefit of around 2%. French was a little better at 2.7%, but there are certainly other things you could do and other skills you could learn that would give you a much greater benefit with the same time input. This is not true of countries where English is not the primary language. If you live in a country where a relatively obscure language is spoken, and then learn English, you’re economic outlook significantly increases: perhaps 20%. Therefore it makes sense for other countries to continue to teach English as an additional language. However, for English-speaking countries to continue to teach other languages makes far less sense. There was one benefit the show discussed that did pick up my interest though. Thinking in another language seems to make you more rational. For example, if you are offered a coin toss: heads you get £15, tails you lose £10. The rational thing to do is to take this bet. However, many people don’t. It is called loss aversion and Daniel Kahneman talks about it in Thinking, Fast and Slow. However, if you get people to think about it in a different language, they are more likely to take the bet. Similarly, if you give them a moral dilemma, “do you switch the train tracks to save five people but kill one”, they are more likely to take the utilitarian view in a second language. Dubner suggests this is because we attach a lot of emotion to the worlds in our mother tongue, but do not have this baggage when thinking in a different language. While in Mothercare a few weeks ago, I picked up a leaflet on alcohol. It has the Leeds City Council and NHS logo on the front and is entitled “No thanks, I’m pregnant”. 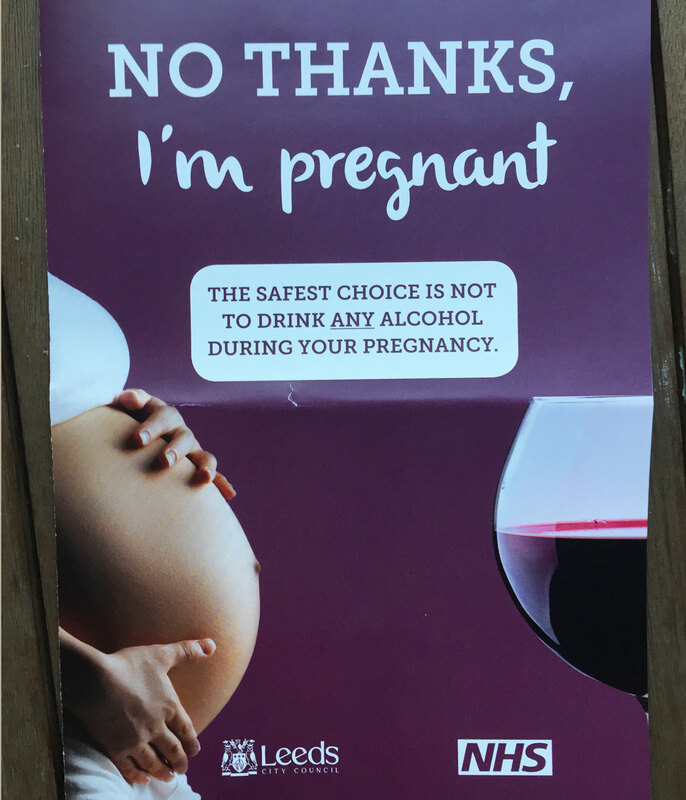 The message is that the best amount of alcohol to drink while pregnant, is none. The problem with this statement, is that it may not be true. For years it has been widely believed that you should cut out alcohol while you are pregnant. All the pregnancy books I read recommended staying away from alcohol. Though they also said that if you had been drinking before you found out, it didn’t matter. How does that stack up? The answer is because there is a lack of evidence that alcohol is harmful after three months. Do not mistake me: heavy drinking while pregnant is dangerous of the baby and could result in foetal alcohol syndrome. It is serious and if you drink heavily you will do serious damage to your baby. However the evidence for moderate alcohol consumption is less clear. Drinking small amounts of alcohol after three months of pregnancy (not more than one or two units, not more than once or twice a week) does not appear to be harmful. Light drinking during pregnancy does not harm a young child’s behavioural or intellectual development. Alcohol is not beneficial to the foetus. However, small amounts are not harmful either. Given that it does provide health benefits to adults, it could be useful for the mother. In light of all of this, it may be time to re-think our public health advice on drinking while pregnant. You may have heard of the idea that there can be too much choice. It’s a paradox because we think that more choice is always better. However, in his book The Paradox of Choice, Barry Schwartz claims that once you have a certain level of choice, more actually makes us unhappy because it raises our expectations. If there are three choices of trainers, we pick one. If there are a hundred choices we agnoise because with such much choice we expect to find a perfect one, and don’t. He makes a similar case in a TED talk. 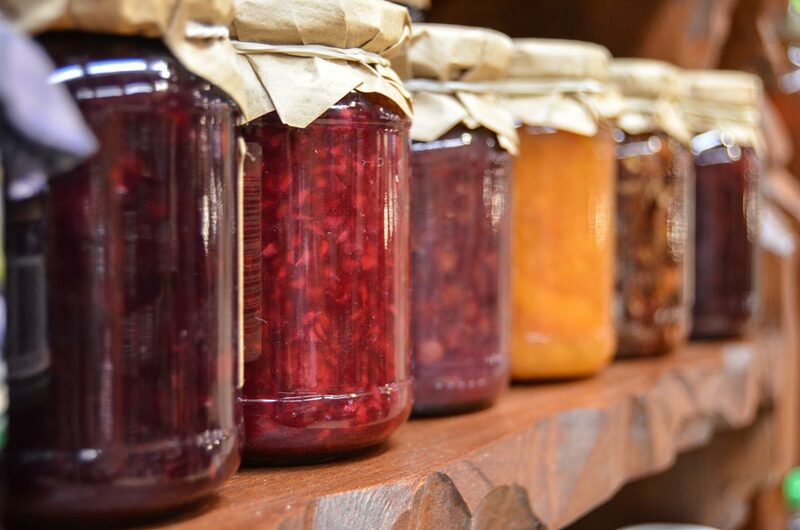 A lot of this comes from a famous study about selling jam, conducted by Mark Lepper and Sheena Iyengar. They noticed that if you offered people six different choices of jam, they bought more than if you offered them 36. All of this is easy to identify with. However, to muddy the water, a blog post by Freakonomics suggests that it is less clear after all. When looking at real-world datasets it is actually quite difficult to find examples of this working. They make a similar claim in a YouTube video, pointing out that you cannot generalise one specific study, such as the jam study, and assume it applies everywhere. How much is too much jam? Perhaps there is an upper limit. However, more research is needed before we can start making generalised rules. 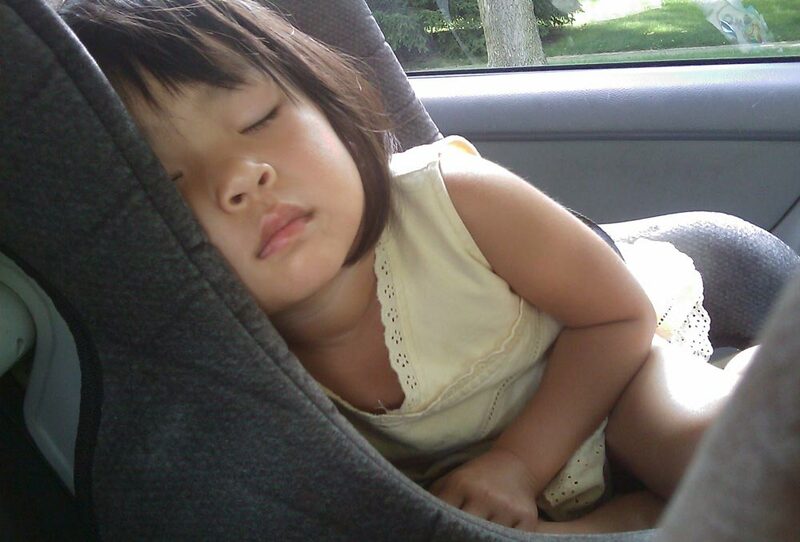 Do child car seats save lives? Steven Levitt, of Freakonomics fame, gave a talk at TED in 2005. In it, he put forward the idea that child car seats do not outperform just using a seatbelt to a significant degree for children over two. In some ways, this is shocking but believable. Take handsfree kits for example. There is no evidence that they are any safer than holding your phone. The dangerous bit is having a phone conversation, regardless of the phone being on handsfree or not. However, because it seems intuitive, because it allows the government to look like they are doing something, and because it allows manufacturers to sell us more stuff, everyone goes along with it. Could the same thing be happening here? Well, maybe. It is difficult to argue with the data he presents. However, in the Q&A at the end of the talk, Levitt touches on the issue of whether car seats do provide a reduction in injury and it turns out that they may well do. Other datasets suggest that there is a significant benefit. Also, the following year the University of Michigan published a study suggesting that there was a significant reduction in risk of death: 28%. The study seems to group front and rear facing seats into the same category so it would be interesting to see if these groups showed a difference. Therefore, unless further evidence is published, it makes sense to continue to use child car seats. In 2008 the European EPIC study began to publish their results. The study followed over half a million people and follow-ups continue. However, one factor was clear from the moment that the results started coming in: your lifestyle choices have a big impact on your life expectancy. A paper published in PLoS Med placed the figure at 14 years. In 2014, BMC Medicine published a paper that broke down the factors into life expectancy years. What should we take from this? Nobody would contest that smoking is bad for you, so that is an easy one. According to the data, the next biggest factor is maintaining a healthy body weight. This probably makes sense. In order to maintain a healthy body weight you have to eat sensibly and exercise, so it is not surprising that this correlates with a longer life expectancy. Heavy drinking reduces your life expectancy. Interesting, this does not mean that you should cut out alcohol. Non-drinkers actually have the lowest life expectancy. It’s not much worse than being a heavy drinker, but nor is it an improvement. The longest life expectancy are those that drink moderately. Finally, diet plays a factor too. The EPIC study, and other studies around the world are clear that processed meat takes years off your life. Red meat probably does too. Whether you can eat white meat and fish is less clear. Most studies seem to suggest they have little to no impact. However, the Loma Linda University study suggests that there could be measurable health benefits in being vegetarian. The NHS has published a summary. It concludes that vegetarians have a longer life expectancy, and there is some support for this in the EPIC study as well. 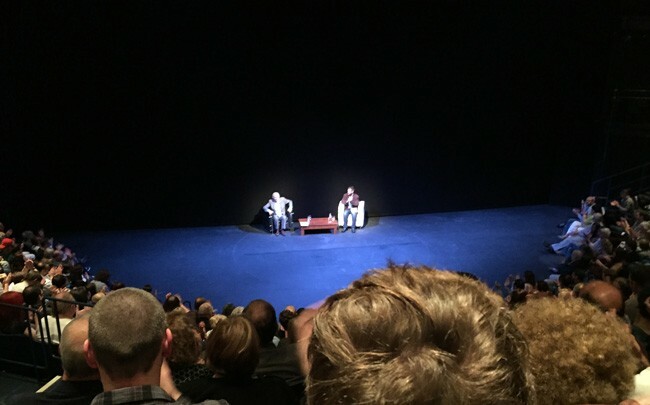 Recently Richard Dawkins spoke at the West Yorkshire Playhouse. He is flogging his new book, My Life in Science, which is a second book of memoirs. It was ably chaired by my friend Chris Hassall, who made a natural choice as a biology lecturer at the University of Leeds. The format was a 20-30 minute conversation in which Dawkins told a few anecdotes and read a few things out. Some of them very funny, though Elina felt the obscurity of the subject made them less enjoyable. The second half was Q&A which eventually drifted off religion but was mostly a bit dull. Overall, the event was enjoyable though it could have been a lot better. Some of it was a bit boring and Dawkins actually taking about something interesting rather than re-hashing anecdotes and answering unimaginative questions would have been a lot better. There are now over 60 on them, so myself and Elina spent Saturday night filling them all out. Of course how much you can take from them is questionable. However, they are all academically published scales. I’m not narcissistic – pretty surprised at that! I am a perfectionist – did not expect that! Of course I am now basically going to do nothing with this information. However, it was fun to do the tests. I also suggested he added the Edinburgh Postnatal Depression Scale (EPDS) which he prompted did. Pleasingly, my score dropped from 11 to 9 this week, meaning I am no longer postnatally depressed!